In our April issue, Los Angeles writer-at-large Ed Leibowitz profiles Andrew and Peggy Cherng, the founders and co-CEOs of fast-casual restaurant chain Panda Express. Since launching inside the Glendale Galleria in 1983, the Rosemead-based company has grown to nearly 1,800 outlets located throughout the U.S., Mexico, and Canada. Last year alone, the company reported over $2 billion in sales. What has Panda Express fans truly excited about the future, however, is the Panda Innovation Kitchen, which opened in Pasadena last year. The location serves as the chain’s ultramodern, open-to-the-public test kitchen, experimenting with different entreé options and offering an adjacent milk tea bar with house-baked desserts. And though there are many ways to get your fried rice fix at the Innovation Kitchen, one item in particular immediately captured the imagination of Panda fans everywhere: the orange chicken-stuffed scallion pancake wrap. In honor of Southern California’s most delicious, reliable, and beloved Chinese-American restaurants, we decided to pay a visit to the Innovation Kitchen and reveal the four best combinations on the menu. This is for the high rollers out there. Adding two premium entreé options (steak and shrimp) will bump up the price of your wrap by $2, but trust us, it’s worth it. The savoriness of the steak matches with the sweet, mayo-tastic goodness of fried walnut shrimp. It’s impossible to eat this and not feel like royalty. 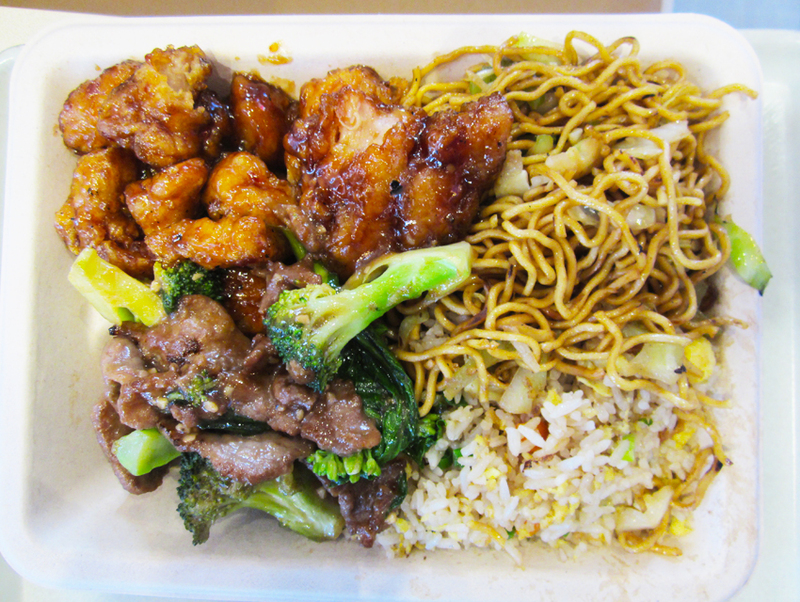 Imagine, if you will, that you’d never been to Panda Express before (unthinkable). What would your first combo order be? We would suggest this harmony in four parts: a balanced meal that involves the two best, most reliable entreés and a bit of each side. Adding a fried wonton wrapper filled with molten cream cheese is never a bad idea either. Eating healthy at Panda? Yes, it’s possible. 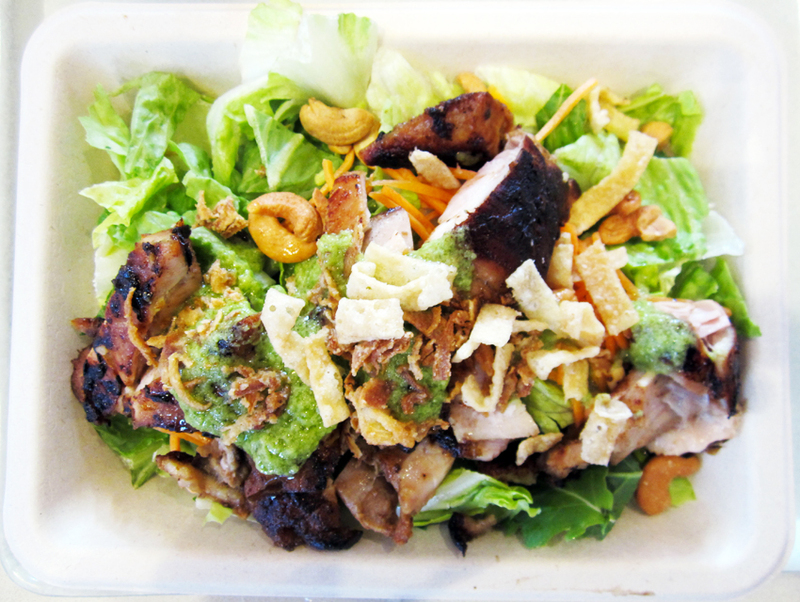 At the Innovation Kitchen you can opt for a base of fresh green, topped with wok-seared veggies or grilled meats and a variety of other crunchy and crispy items. The final product might not resemble the standard Chinese combo plate, but you might feel better about yourself afterward. 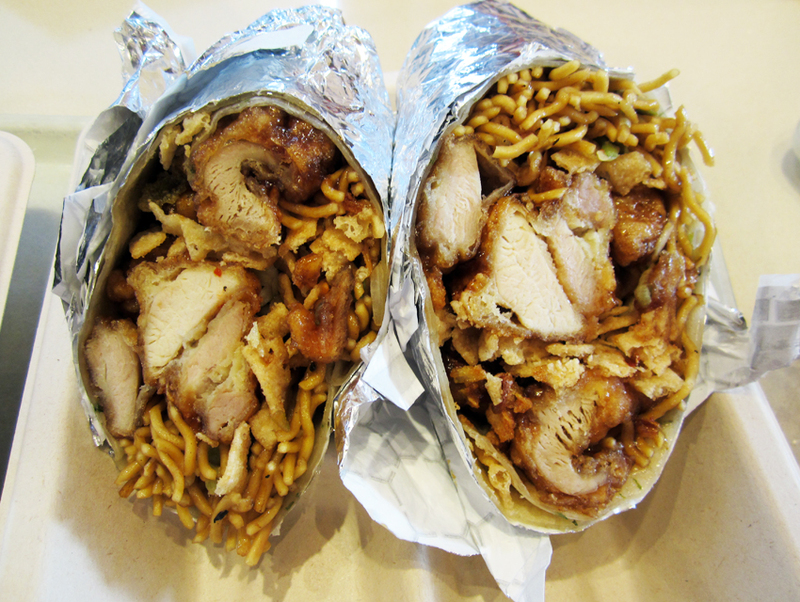 This is the famous orange chicken burrito. 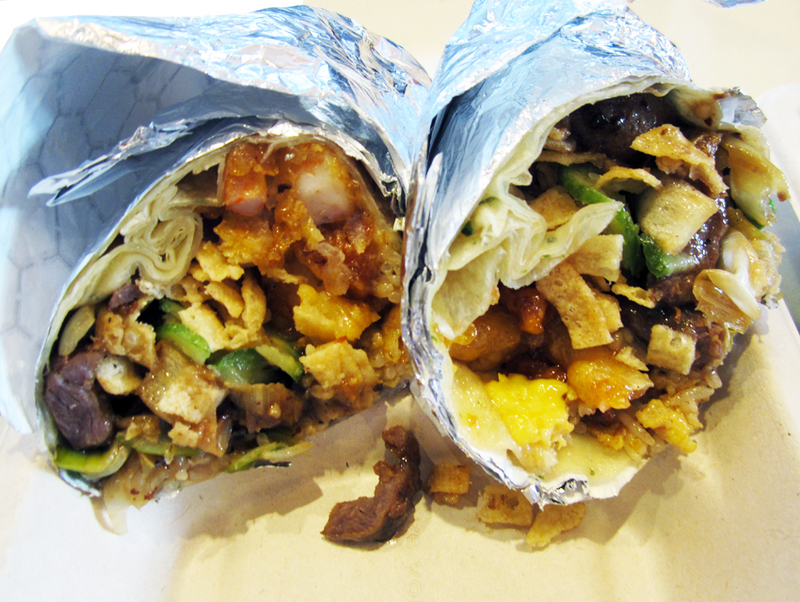 It’s large, it’s delicious, and it’s a major gut-bomb. For those who order double orange chicken on their combos plates with no shame, this chicken-packed behemoth raises the bar by stuffing chow mein inside and adding a tart slaw that cuts just enough of the sweet-sticky richness.